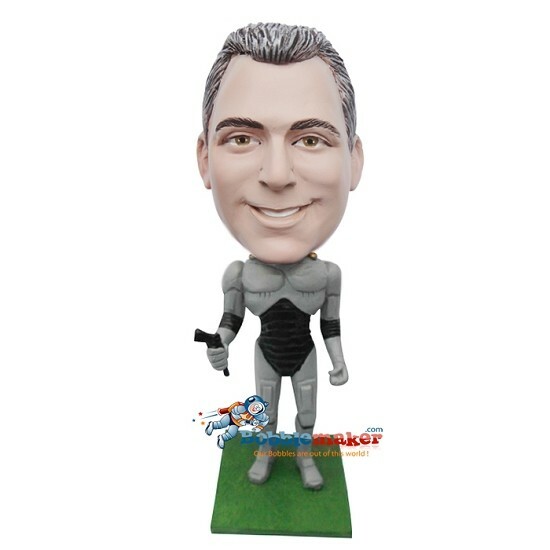 All Robocop from the neck down, this custom male bobblehead has a head that you can personalize. But, watch out! He's carrying a gun!